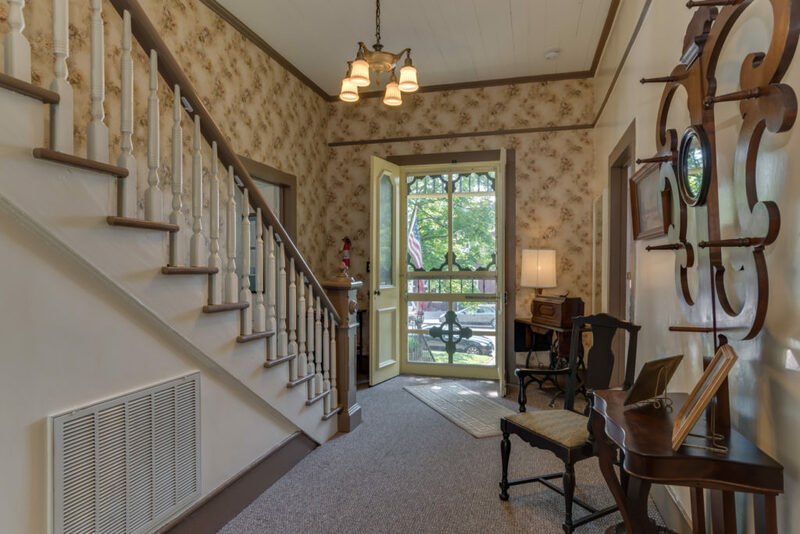 Enter the front door at the Carrier Houses Bed and Breakfast and you will experience the peace and tranquility of a bygone era. 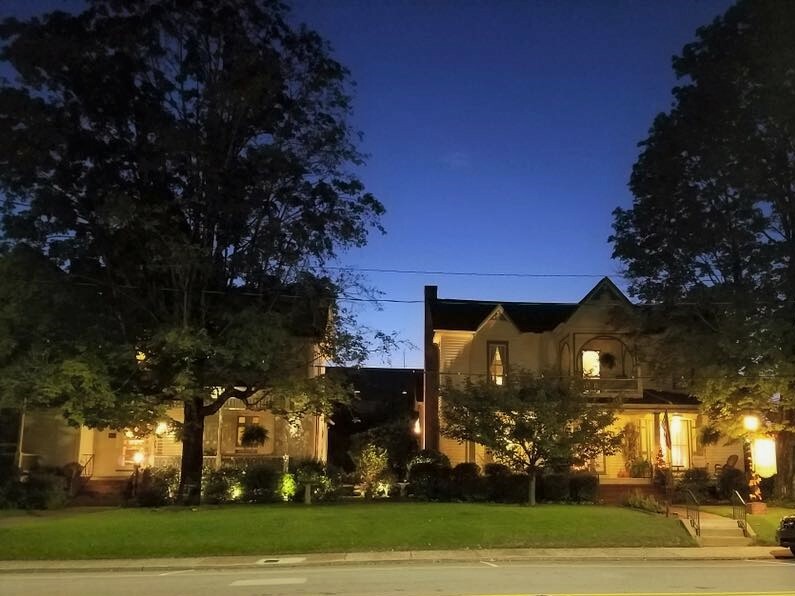 The Carrier Houses Bed and Breakfast includes two of the grandest Victorian houses in historic Rutherfordton, the heart of the Blue Ridge Foothills. 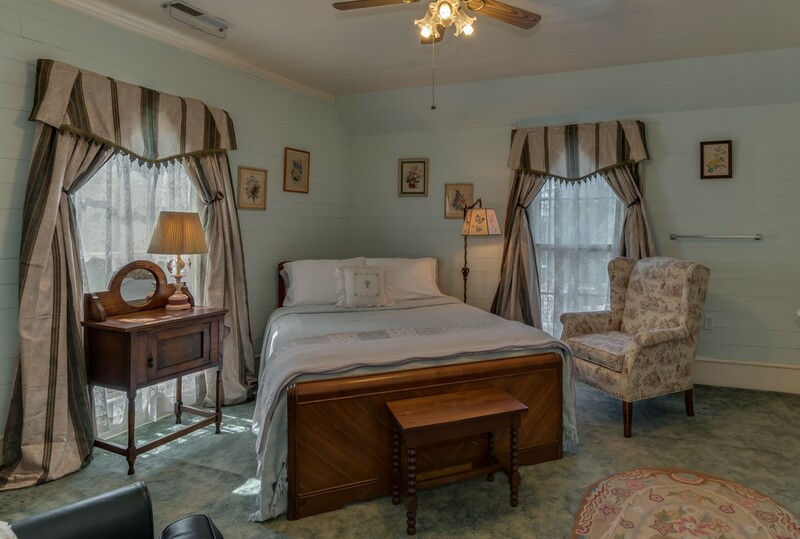 Located adjacent to the Main Street Historical District, the Carrier Houses have 8 guestrooms (each include a private bath) decorated with period furnishings in a warm and relaxing atmosphere. 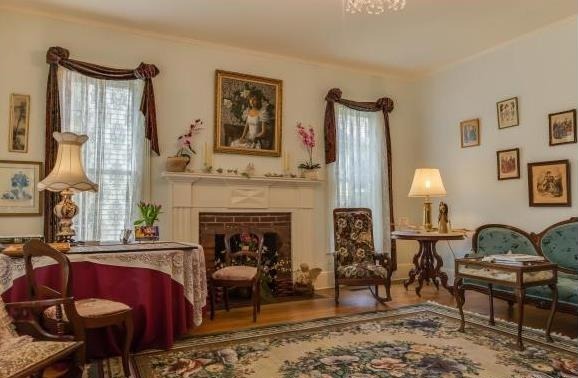 Enjoy sitting on the front porch and listening to the water fountain in the garden between the houses or do a puzzle in the parlor while you sip lemonade and eat cookies. 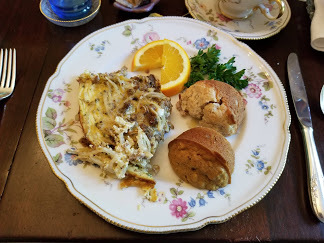 When you awake from a restful sleep, a delicious gourmet breakfast awaits you in our Victorian dining room. 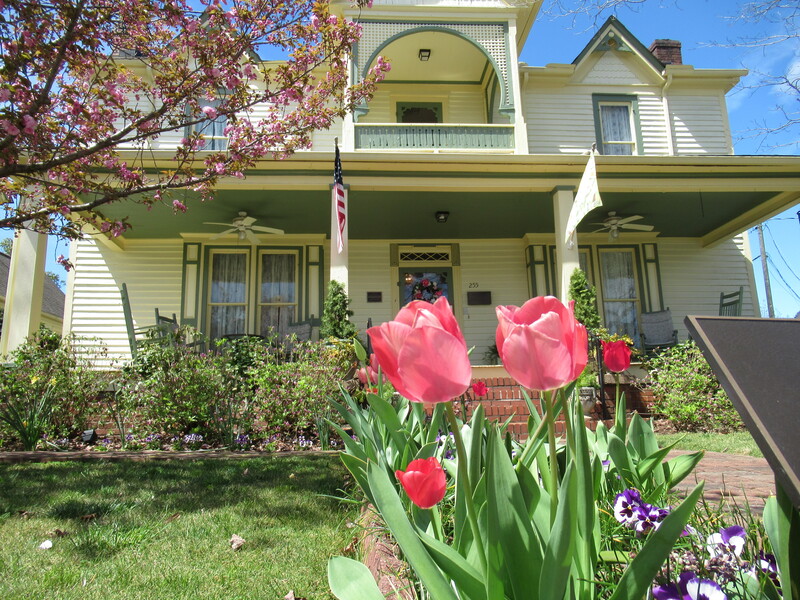 If you feel adventurous, Rutherfordton has wonderful shops, galleries and restaurants within walking distance of the Carrier Houses. 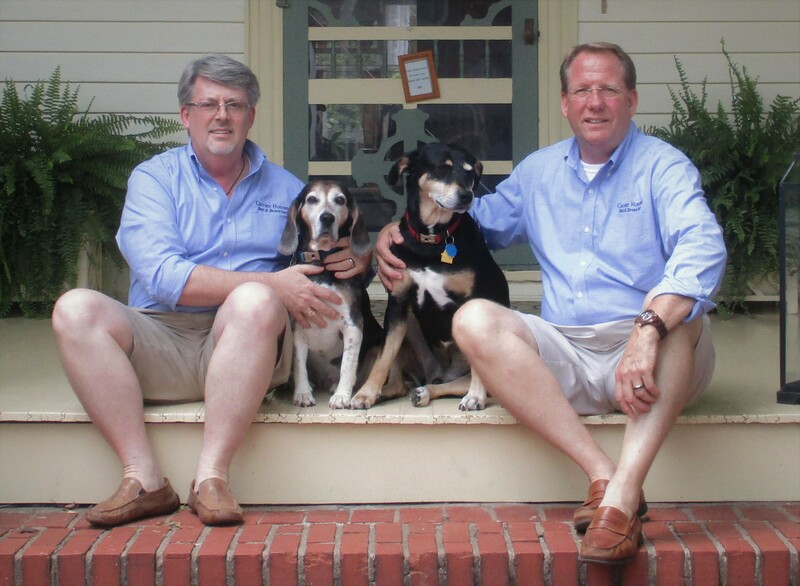 There are several small towns just a short drive from Rutherfordton perfect for antiquing, shopping and dining. 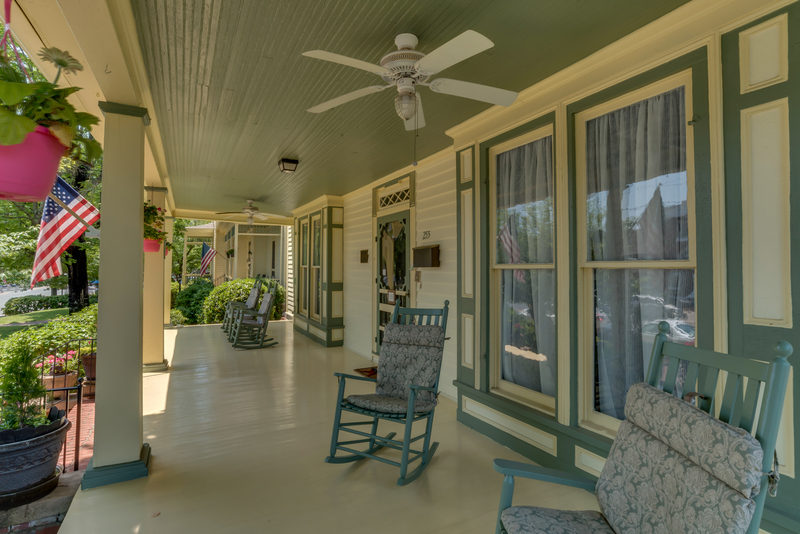 The area is rich with local talent and arts and crafts can be found everywhere. 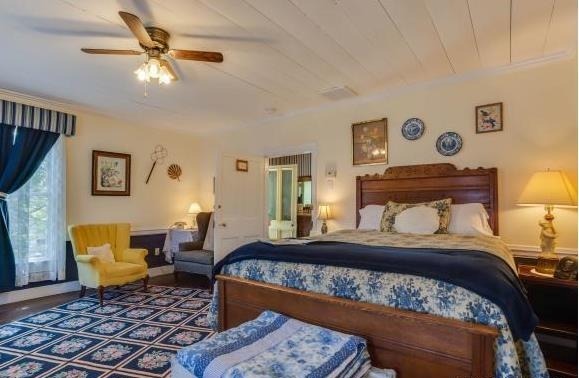 Many of the area's most popular attractions such as Chimney Rock, Lake Lure and the Tryon International Equestrian Center are only minutes from the Carrier Houses. Other activities in the area are only a short drive away include biking, hiking, boating, swimming, horseback riding, rock climbing and more. 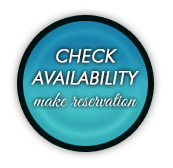 See our activities page for links to local attractions and activities.